The election results in Austria, are a significant trend that is now being witnessed throughout Europe. Political elites in the European Union (EU), will soon attempt to dismiss the outcome there as an outlier. They refuse to acknowledge, that a seismic political shift to the right, has occurred among the increasingly conservative European electorate. The previous untenable positions of anti-immigration populism and a resurgence in nationalism, is putting the EU sentiment of open borders under siege. The freedom of movement for goods, ideas and people throughout the continent, is coming under growing political scrutiny. The resistance of the liberal establishment throughout Europe, to admit any negative effect of the recent vast migration onto the continent, has created the present anti-establishment movement. Close to 58% of the electorate in Austria voted for center right and far right candidates, in the latest election. The far right Freedom Party, was in close competition for second place, with the establishment center-left party. Foreign Minister Sebastian Kurz, representing the conservative Austrian People’s Party, was able to claim victory in the October 15th election. At 31 years of age, he will likely become Europe’s youngest leader. 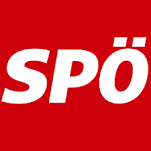 The Austrian People’s Party has only beat the Social Democrats twice, since the end of the Second World War. Therefore, Kurz claimed the elections results were indeed a historic victory. The People’s Party received 31.5% of the vote, a gain of more than 7 percentage points from the 2013 election. Kurz identified it as the biggest jump in popular support, for the party in history. In contrast, the Social Democratic Party of Austria, now in coalition with the People’s Party garnered just 26.9% of the vote in the recent election. It puts them narrowly in second place, but will still end the Chancellorship of Christian Kern, a Social Democrat. The Social Democratic call for social equality is ringing hollow in Austria. The costs of assimilation have placed a heavy burden on the Austrian economy. Recent migrants have raised the costs for the present social welfare system substantially. The party’s image was further damaged by charges of dirty campaigning. An operative for the party, used social media to mock Kurz and even suggested he was anti-Semitic. The close Austrian presidential election in 2016, was a harbinger of things to come. For the first time in post war history, a nationalist candidate was close to winning the presidency. Norbert Hofer a populist from the Freedom Party, ran on a platform of being against continued unfettered immigration and the steady encroachment of the European Union. Norbert Hofer former presidential candidate from the Freedom Party. Hofer only lost, as a result of the mail in ballots. These 885,000 voters narrowly tipped the balance in favor of the independent candidate, a former Green, Alexander Van der Bellen. He won by just 31,000 votes out of 4.64 million cast. The fact that many of these voters were actually expatriates, created somewhat of a controversy inside Austria. The first presidential round of voting in April of 2016, ended up being the best electoral result for the Freedom Party since it was founded. This was largely due to the migrant crisis. A growing share of the electorate had become increasingly concerned, with the mass influx of migrants. In 2015 alone, Austria received 90,000 asylum requests. It is a rather large number, for a nation of just 8.65 million inhabitants at the time. It was the second highest per capita in Europe. As a result, the Muslim population in Austria has grown from 4% in 2001, to 8% now. This equates to a population of near 700,000. Migrants in Austria in November, 2015. The rising numbers of migrants and the resulting outcry, forced the government to cap the number who will be allowed to stay in Austria to just 37,500 in 2016. The first round victory of Norbert Hofer in April of 2016, compelled the legislature to pass a law restricting, the acceptance of large numbers of refugees and migrants. Despite the strong condemnation from opposition parties, the measure still passed by 98 to 67. The Freedom Party had also gained political ground, by opposing more free trade and ever closer integration, with the European Union. There are similar populist parties in Belgium, Denmark, Finland, France, Germany, the Netherlands, Norway, Sweden and Switzerland in Western Europe. In Eastern Europe there has been a dramatic rise of nationalistic populism in Bulgaria, Czech Republic, and Slovakia. This region as a whole, is experiencing a move away from an open democratic style government, that has become the norm in other parts of Europe. In Hungary and Poland, the political movement is already in control of the government. In the latter case, the government has even moved to restrict the powers of an independent judiciary and news media. These institutions are seen as impediments, in bringing real political change to Poland. Austria to date, has garnered the largest nationalist far right voting share, in Western Europe. At over 35% in the 2016 election, the percentage is high enough, to force an accommodation in policy for legislative matters. The May 2016 presidential election, which had resulted in Austria’s first left wing president since World War II, was later declared invalid by the Constitutional Court. The judges ruled in favor of Hofer, who claimed there had been voting irregularities, with the postal votes. A presidential rematch was at first scheduled for October 2nd but was finally held on December 04th 2016. Van der Bellen ultimately won the re-vote with 53.8% of the vote, on a turnout of 74.2% of the electorate. The political charisma and energy of Kurz, was instrumental in the electoral victory of the People’s Party. His taking over as chairman of the party in May, prevented the Freedom Party from receiving the largest voting share. The latter, had been ahead in the political polls for the last two years. Heinz-Christian Strache, speaking at a rally before the 2010 Vienna elections. 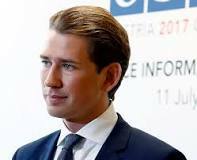 Kurz who is a member in the present government, was successful in convincing voters, that he will be an engine of change, as he moved his conservative party further to the right. Yet, he remains pro-European. It is this political balance, that is now appealing to a largest share of the Austrian electorate. 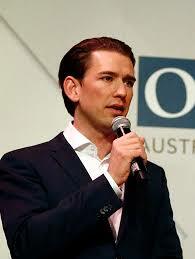 Sebastian Kurz also embraces traditional conservative values of cutting taxes and trimming state expenditures. He has emphasized the need to slim the size of the federal bureaucracy. Part of the success of Kurz was to avoid the bombastic rhetoric, so often employed by the Freedom Party and its current head, Heinz-Christian Strache. This style of campaigning is what has kept the Freedom Party, out of the national government, for the last 17 years. 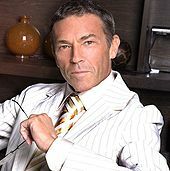 Jörg Haider from the Freedom Party in 2007. 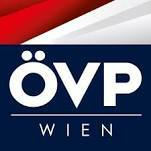 The last time the Freedom Party was part of the government, the European Union put diplomatic sanctions on the Austrian government. In the present political climate, this type of widespread disapproval, is unlikely to be repeated. Given the current spread of populism throughout Europe, it has lost its effectiveness. In order to create a new government, Kurz will need a coalition partner. His first choice will be the Freedom Party, which came in third place in the recent election. Their share of the vote was estimated to be 26%. The percentage is close to where it was in 1999, the previous heyday of the movement under Jorg Haider. Political compromises will need to be made on both sides, when coalition talks begin on October 20th. There is no doubt, that there will be a lurch to the political right, after decades of more middle of the road policies. As aforementioned, this process already began in April 2016. Kurz has somewhat spurned the example of Germany and Sweden, which are both rejecting the idea of ever making far right parties part of the government. He instead, seems to favor the example of Norway, by bringing them first into government and then attempt to moderate their political behavior. The Freedom Policy will insist on far tougher immigration controls moving forward. They are calling for a quick deportation of asylum-seekers, whose applications are denied and a new approach in dealing with radical Islam. The Greens in Austria had their voting share reduced from 12.42% in the 2013 elections, to the present 3.9%. They came just short of the 4% threshold necessary, to have representation in the legislature. Two other minor parties have made it into the parliament, but will lack the seats to provide for a majority government. Foreign Minister Kurz and Chancellor elect. It is still not clear if Kurz will decide to partner with the Freedom Party instead of the Social Democrats. Yet given that near 6 out of 10 voters have endorsed a more conservative platform, he is likely to lean towards the Freedom Party. This reality will of course further complicate the European Union’s recent attempts, to rein in the populist governments of both Hungary and Poland. The electoral results in Austria are once again, a reminder to the bureaucrats in Brussels, that the mood of the voters are becoming more conservative and nationalistic. It was an inevitable result, of the recent failures of the European Union in dealing with a myriad of economic and political issues. The migrant crisis merely consolidated the opposition, to former established governmental thought.